If Pigeons Are Just Rats With Wings …. 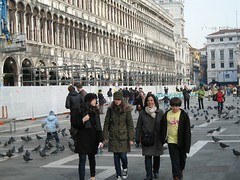 then Plaza San Marco is infested. But I like pigeons as long as they don’t mess with me. We took a stroll through town to visit the Peggy Gugenheim Collection and the Palazzo Grassi. We loved both of them but the Palazzo Grassi was a bit more fun for the kids. 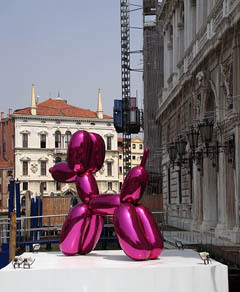 The Jeff Koons stuff was fantastic.